Equifest has now firmly established itself as one of the largest competing events in the UK's equestrian calendar. The four-day festival attracts over 15,000 competitors and visitors. Held at the East of England Arena and Events Centre, it is ideally situated for access to major road links to all over the UK. 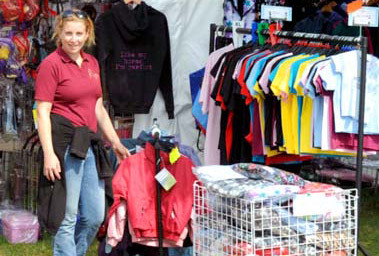 The show attracts a wide selection of equestrian and non-equestrian traders, and has grown a reputation for being a successful trading opportunity, with many businesses having attended for a number of years. More exhibitors are getting involved year on year, with the shopping lanes being enjoyed by both competitors and visitors - many of whom stay on site for the duration, enjoying the variety of shops and entertainment on offer. We are committed to supporting you in making your experience a positive one. There are 70 hours of retail therapy offered to our visitors over the five days, and we want you to be able to showcase your products or services to potential new customers, informing and educating our captive audience of horse enthusiasts about your business. We continually strive to improve and develop the show, introducing new themes, activities and opportunities to keep things fresh for our visitors to enjoy. Our year-round Press and Marketing Campaigns ensure that Equifest is kept at the forefront of our visitors’ minds. This includes both pre and during the event, in a number of varied regional and national publications across print, radio, digital and social media. Five FULL days of trading, with various options of open space and indoor stands. Dedicated exhibitor parking and camping areas. A full listing in our glossy Show Catalogue. Business web listing on our website. An allocated number of admission tickets. Onsite restaurants and mobile beverages, offering hot and cold meals, with a bar in the evening. Roaming site security 24-hours a day during build-up and show days. A dedicated Show Office Team ready and willing to offer support and guidance. Please download and complete our Trade Application Form to join us at Equifest 2019. PLEASE NOTE: You will need to have read our Terms & Conditions in order to complete your application.